Toshio Kikuta was born in Ewa, Hawaii on April 14, 1919. 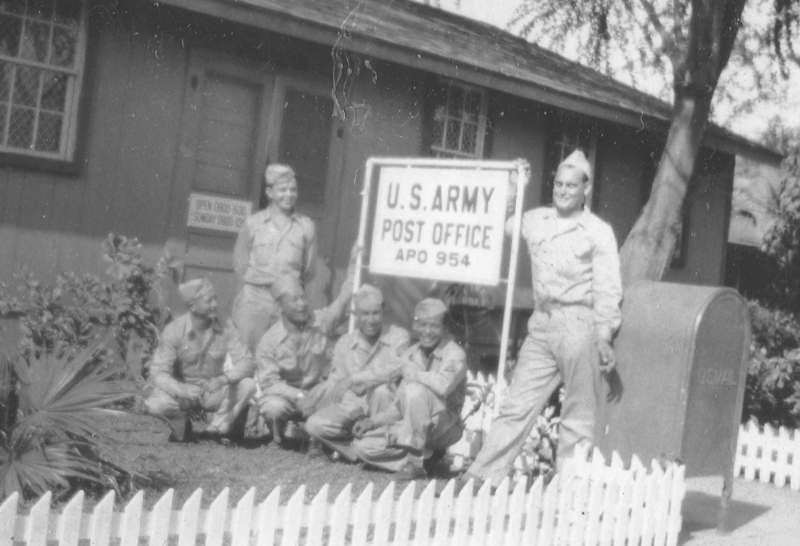 One of 10 children, he attended Ewa Elementary School, played baseball in the community league, worked in the electrical shop on the Ewa Sugar Plantation and was drafted into the United States Army at the age of 22. 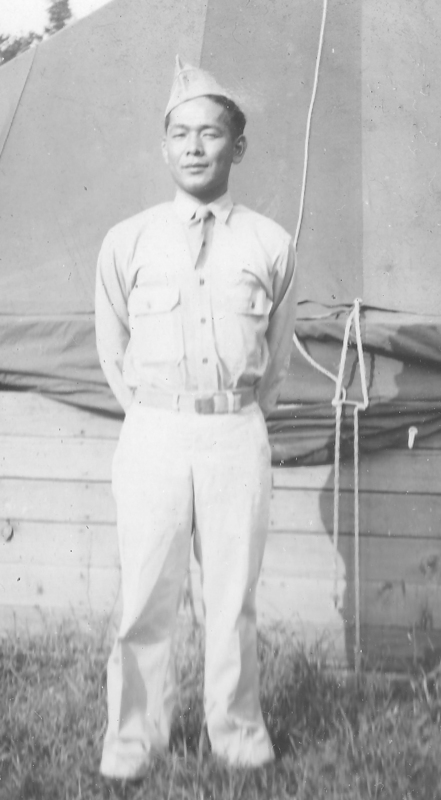 Toshio was a member of the 100th Infantry Battalion that traveled by ship to the west coast and then by train to Wisconsin. 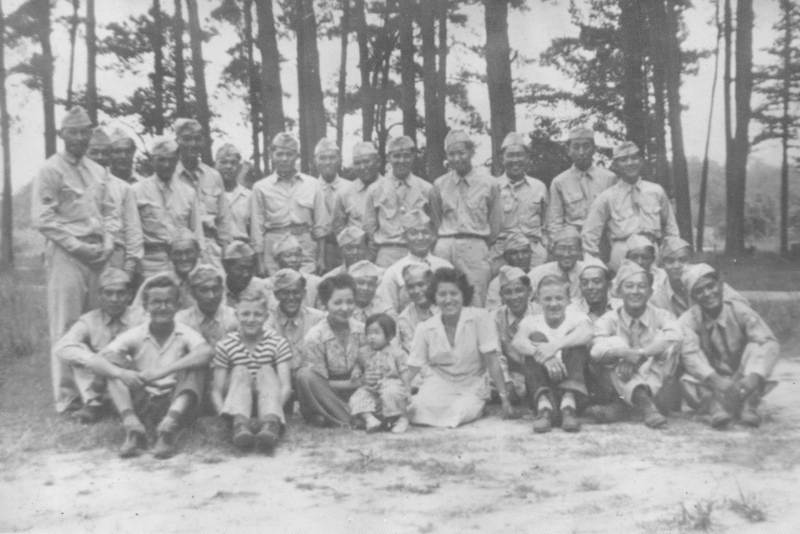 The unit spent seven months in Camp McCoy and left in January 1943 for Camp Shelby, Mississippi, undergoing further combat preparation and training. From Camp Shelby, the 100th was shipped out from New York to a port in Algeria, North Africa. A member of Company A, Toshio stayed there for three months before being transported to southern Italy where the battalion landed at Salerno. The 100th proceeded up through the Italian countryside, coming face to face with the German fighting forces. 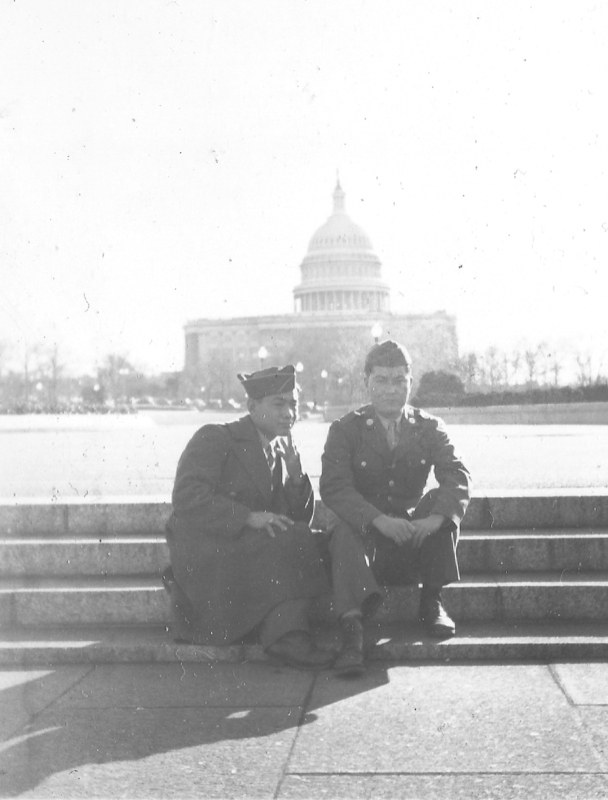 Toshio remembers he was shot and wounded three months into his combat experience in Italy. He was hit four times, once in the elbow and twice in the chest. On the fourth incident, a bullet hit a quarter that was in his watch pocket near his waistline; part of the quarter was bent 90 degrees. Toshio was a scout when he was shot going through Cassino, Italy. Captain Sakae Takahashi of B Company was nearby, saw that Toshio was wounded and made sure he got first aid in the field. Toshio was sent to the field hospital and eventually was sent to Virginia on his way back home to Hawaii. He received the Purple Heart, Bronze Star and Combat Infantry Badge. After the war, he worked until his retirement as an electrician at the Pearl Harbor Naval Shipyard Public Works Center and got married to Geraldine Hayashida. They had two children, Andrew and Paulette.